The Ramón Areces Foundation organized jointly with COSME the 8th COSME Gender Economics Workshop (GEW) that will take place on 28-29 May 2015 at the headquarters of the Foundation in Madrid. 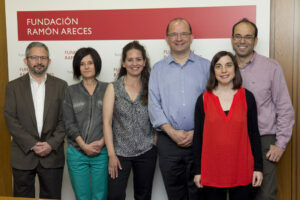 COSME is a committee of the Spanish Economic Association founded to monitor the status of women in the economics profession and to undertake activities that improve their position. The GEW aims to provide junior and senior researchers with a forum for presenting and discussing research in gender economics. See the program here.